Men's sock monkey organic t shirt range. 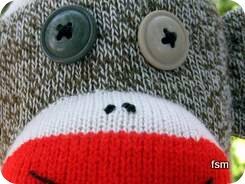 Unique sock monkey designs on healthy Eco friendly clothing. These organic clothes are good for us, the earth and our monkeys. Lightweight for summer comfort or winter layering, our organic tees are one of our most popular fine tees. It's what to wear when you care about having 100% organically-grown cotton next to your skin. The next best thing to nothing, naturally. 4.8 oz. Ultra fine combed ring spun organic cotton, great for layering. Vintage fit (size up for a looser fit). Made in the U.S.A.
At a time when many of us are really taking care of our health, and the health of the earth, nothing beats going organic. Wearing apparel made with organic fabrics is comforting and certainly in fashion. 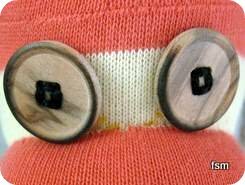 Keep updated with new additions to the clothing pages with the "what's new" button taht will send you straight to our sock monkey blog. 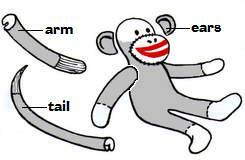 The blogs updated every time there's an important change to a funky sock monkeys page.